Recently I was lucky enough to be given a very old physiology textbook from a friend in the estate sale business. 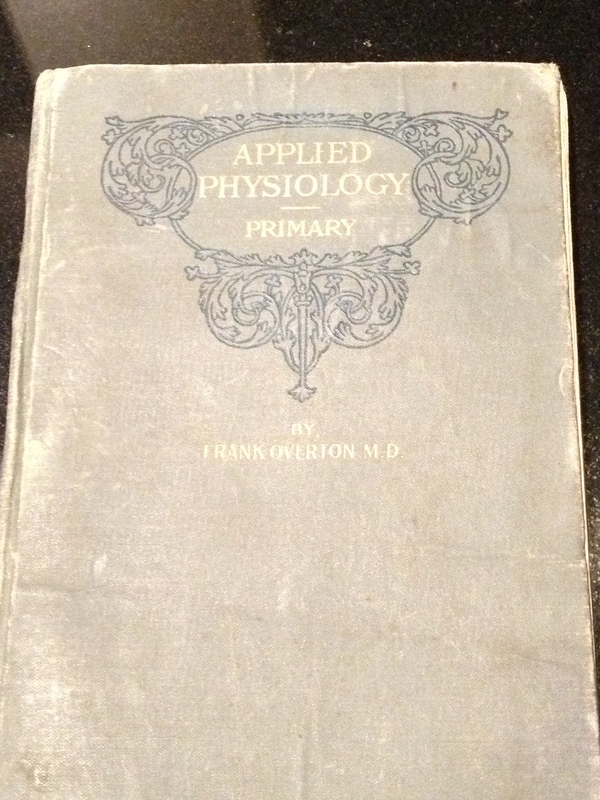 The book, Applied Physiology, Primary, by Frank Overton M.D. is copyright 1898. It is so very interesting, that I felt that I would share it with everyone via this blog. For your information, it is pretty easy to find copies for sale on the internet. In this first installment let me discuss the audience and goal of this textbook. In future installments I will provide some of the text and images for your enlightenment. It is a true treasure to experience reading this text as it shows me what we thought we knew that we didn’t, and more interestingly to me what we knew in the late 1800’s but have chosen to ignore for over 100 years.